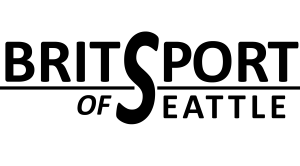 Registration for the 2019 WWABFM is Now Open! 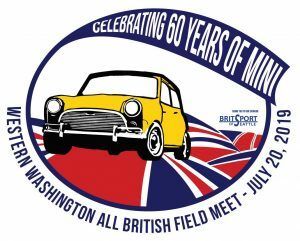 The 2019 Western Washington All British Field Meet will honor the Mini and its 60th anniversary! The 2019 WWABFM will be celebrating the 60th anniversary of the Mini with a great display of classic and modern Mini’s. Come join us in their celebration and see all of the Mini variants, along with all of the other great British car marques and motorcycles! It will be quite an exciting show! Online registration will remain open through July 13th. Regalia sales will open with online registration, but will close on June 29th. The Friday night social will be held at the park on July 19th from 6:30-9:00 and will feature the Raney Brothers and their wonderful sandwiches to enjoy while bidding on a superb selection of services and goods for your enjoyment. Not to mention catching up with old friends! Saturday food options will include the Raney Bros., Daddys Donuts, and Gourmini’s food trucks! All three trucks have delicious treats for your enjoyment. While construction continues thru this summer on the Lodge, the only impact on the WWABFM will be the loss of the swap meet for 2019. Otherwise you can expect the same great event that you have come to enjoy and look forward to each year! We look forward to seeing you at the 2019 WWABFM!